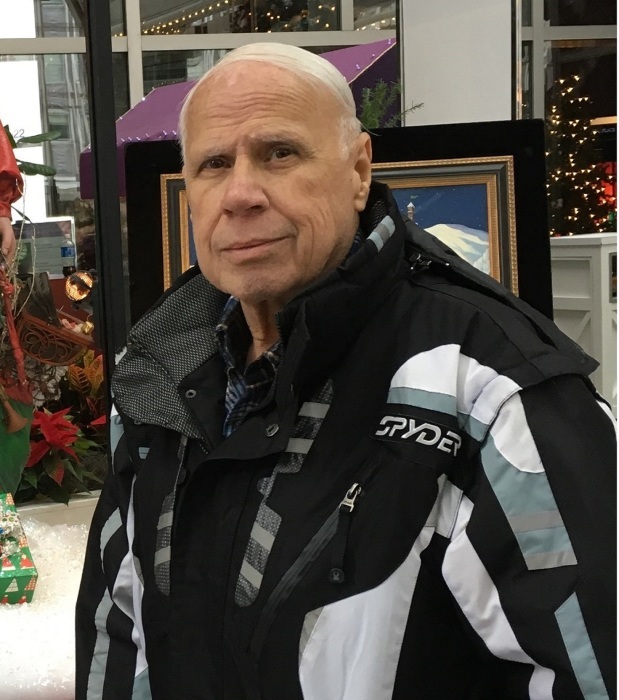 Obituary for John W. Blumen | McIlvaine-Speakman Funeral Home LTD.
John W. Blumen, 76, of McMurray, died Thursday, January 17, 2019, in West Penn Hospital, Pittsburgh. He was born December 1, 1942, in Pittsburgh, a son of Carl and Mary Durish Blumen. Mr. Blumen was a graduate of Canon-McMillan High School. He had worked for 23 years at Bankers Lithography Co. in Blanox, for Mele Management in Canonsburg, the maintenance department at Chartiers-Houston School District, and a number of years for McIlvaine-Speakman Funeral Home Ltd.
Mr. Blumen was an active member of St. Patrick’s Church. He had served as a minister of the Eucharist, Pastoral Council and was Navigator for the Knights of Columbus, Bishop Hugh Boyle, Assembly #922. He was proud to have served as a first responder in his younger days with the North Strabane Volunteer Fire Department for nine years and the Civil Air Patrol. Mr. Blumen had belonged to the Canonsburg Lyons where he was a former president. He was a world traveler and enjoyed camping, fishing and being a Mr. Fix-it. On May 21, 1966, he married his wife of 52 years, Marsha Hedtke. Also surviving are: a daughter, Melissa Wilk (Thomas) of McMurray; a son, John J. Blumen (Tabitha) of Washington; five grandchildren, Jessica, Brittany and Tyler Blumen, and Thomas and Amanda Wilk; three nieces; and many cousins. Deceased are a brother, Carl Blumen, and a sister, Mary Blumen. Friends will be received from 2 to 4 and 7 to 9 Sunday in McIlvaine-Speakman Funeral Home Ltd., Robert K. McIlvaine, owner/supervisor, 27 Cherry Avenue, Houston, PA 15342. A Mass of Christian Burial will be celebrated at 10:00 a.m., Monday, January 21, 2019 in St. Patrick Church, Canonsburg, with Rev. Carmen A. D’Amico as celebrant. Interment will follow in Queen of Heaven Cemetery, McMurray. The family asks that everyone please meet at the church. In lieu of flowers, the family suggest memorial donations may be made to St. Patrick Church, 317 West Pike Street, Canonsburg, PA 15317.